Previous post: Proof that first class travel isn’t what it used to be…. Low-cost Malaysian airline AirAsia (AIRA:MK) has finally done what many disgruntled passengers have long hoped for: It has banned children from sections of some airplanes. Starting in February, the first seven economy rows on its long-haul AirAsia X flights will be designated as the “quiet zone” and reserved for adults (well, people over the age of 12) to give passengers a chance to rest during the flights. Malaysian Airlines is also in the process of creating a child-free zone on certain flights. 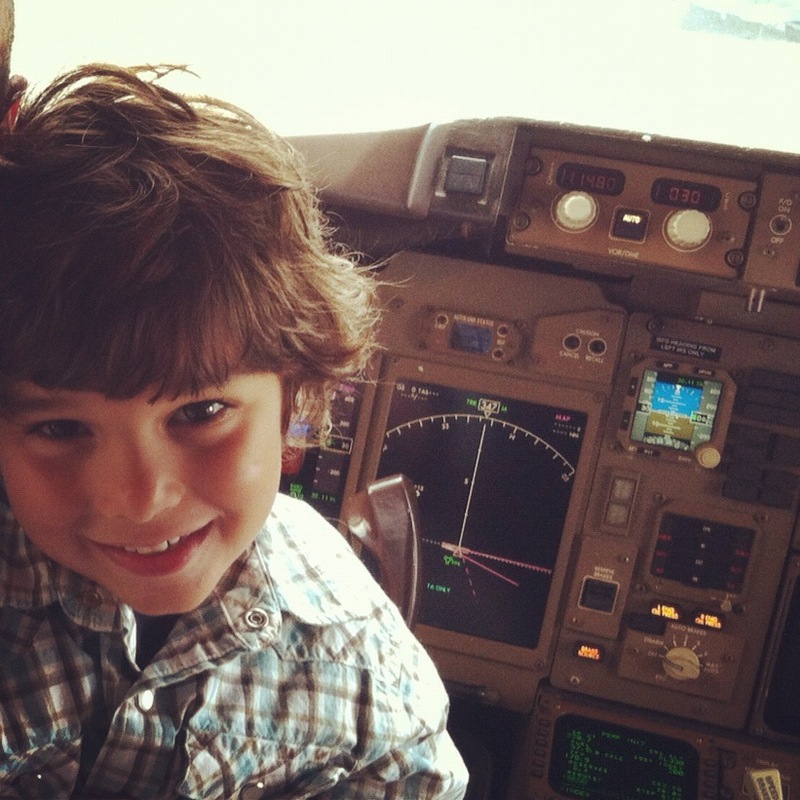 But are children really the worst offenders on airplanes? For an answer, Bloomberg Businessweek turned to Heather Poole, who has chronicled her 17-year career as a flight attendant for a major airline in her book Cruising Attitude. So are children really that annoying on flights? I see parents come on a plane with nothing to entertain their child, so then the kid gets bored and starts kicking the seat in front of them. Sometimes parents will sit in first class but leave their kids in coach. The kids will be standing in the aisle during takeoff or trying to get out of their seats. Really? Parents really pay that little attention to their kids? A long time ago I was on a flight—I wasn’t working, I was just flying like a regular passenger—and I felt something between my legs. I looked under my seat and there was a baby. I turned around behind me and the mom was sleeping. I tapped her on shoulder and said, ‘I think this is yours,’ and she took the baby and closed her eyes again. She had no idea that I was a flight attendant; to her I was just a random stranger who’d gotten ahold of her baby. The focus of the comments accompanying the story is how kids *should* behave, and how parents *should* be responsible. No arguing any of that. So, what is it about our outlook that we can adjust to compensate for kid kraziness?? Allow me a side story that’s non airline related, but goes with your point. In wanders a woman with a very happy looking dog. The dog is calm, sits when he’s told etc. The woman’s daughter is with them, she sits down, plays with the dog and then proceeds to draw some pictures on a note pad the mother gives her. Great. About 5 minutes later another woman comes through the door. She also has a dog with her. This dog is scrabbling around the floor, he’s straining on the leash, he’s barking at everything, he’s excitable and out of control. In wander the woman’s two children. They are running about the place, screaming, shouting, pulling pet food off the display racks, not sitting down when she tells them, and basically being little terrors! I thought it was interesting that the woman with the well behaved dog, had a well behaved child. The woman who couldn’t control her dog at all, had no control over her kids at all. So can you really tell a person by the animal they keep? So yeah, I don’t blame the kids, I think the parents are just out of their depth when it comes to raising them, which is why I will always respect the people with the best kids a heck of a lot more. Anyway, it doesn’t bother me on flights, because you covered a previous story about men being asked to swap seats if they are sat next to a child anyway!! Excellent! I think the lap baby policy is partly to blame. It’s hard to keep a huge almost 2 toddler still on your lap. No way can you keep him or her from kicking the seat in front. Also, airline should prioritize those bulkhead seats for families. No one in front to annoy. Shame on United for giving them to frequent flyers! Nothing like flying 11 1/2 hours alone with three closely spaced children, crammed in the center and seeing all adults at the bulkheads! They don’t need it. There aint more leg room there folks! I have to disagree with your statement “You can tell when passengers haven’t had kids because they’re less patient”. I have four children and there is no way in the world I nor my husband want to sit next to other peoples children on a flight. We know what good kids are like and do not tolerate noisy kids anywhere let alone being stuck with them on a flight. I have many friends with children who feel exactly the same. Hi Heather…I’m a flight attendant who used to commute from Malaysia to NY, and a point of contention I’ve found is when people refer to the flagship carrier as “Malaysian Airlines” and not “Malaysia Airlines.” BTW I’m back in NY now and not perpetually exhausted from a 30 hour commute. Love your blog.